When I wake up in the morning, Sam is usually the only one in bed with me, tucked up tight behind my knees. Scout is sometimes there but otherwise comes in when she hears my alarm clock ringing. Sometimes, though, all three cats are in bed and tucked up tight next to me or sleeping on me, mooring me to the bed. One such morning I woke up on my back with all three cats sleeping next to me. I carefully shifted over to my side, as if on command all three cats filled in the gaps and curled up again, like furry little tugboats keeping me in bed. I drifted back to sleep. Good thing it was a weekend. 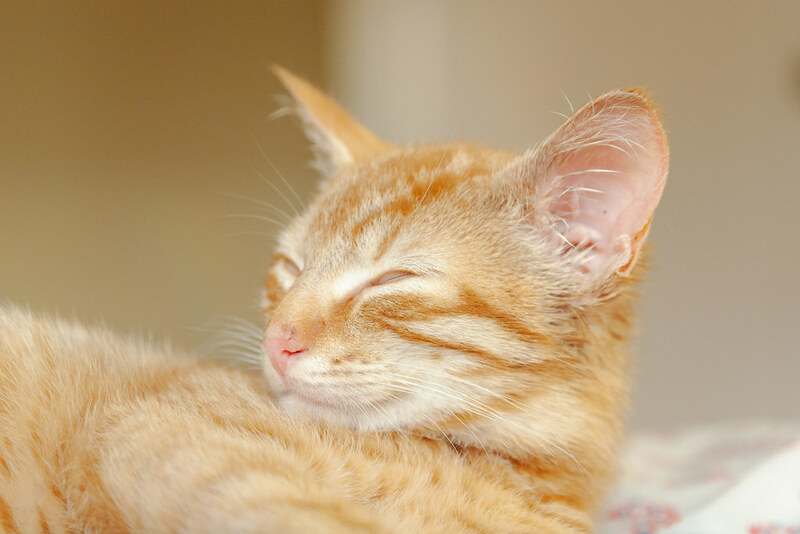 This entry was posted in Pets and tagged cat, kitten, orange tabby, Sam, sleeping. Bookmark the permalink.